A culvert replacement project in Scappoose gave long sought relief to some residents, but others say the public works initiative severely degraded wildlife habitat. Columbia County Public Works officials say a failed culvert off Scappoose-Vernonia Highway led to a large accumulation of water in the area. The water sat stagnant for years, attracting wildlife, but it also left at least two nearby homes flooded. Eventually, the county stepped in. "The pond there was not flowing and it was putting about a foot of water in the [nearby] property," Tristan Wood, assistant director of the Columbia County Roads Department, said Tuesday. "What we're doing is putting a drainage control device there. It's been like that for a while, but it's gotten worse over the past few years." As the county worked to reduce flooding and repair a culvert, Oliver Ede and his wife noticed a dramatic shift. "I'm a lifetime resident here and those houses were all built on wetlands," Ede said. "It's always been that way over there." Ede reached out to local and state agencies with concerns that county workers were "draining a wetland." Pre-construction photos show a pond encapsulated with cattails and ducks swimming on the surface. An updated photo depicts a ditch with shallow water. "This is the peak time for frog eggs to be getting ready to hatch," Ede noted. "Now, there's about 40 mallard ducks in there eating everything." Wood said the county obtained a permit for the work through the Department of State Lands. "What we have done has actually made it function better," Wood explained. "Once DSL came and saw what we had going on out there, they were encouraging us to do some repairs." The county employee noted that a home near the makeshift pond had nearly a foot of water throughout the property. "They have two kids and their quality of life was very poor, to the point where they couldn't go outside," Wood said. 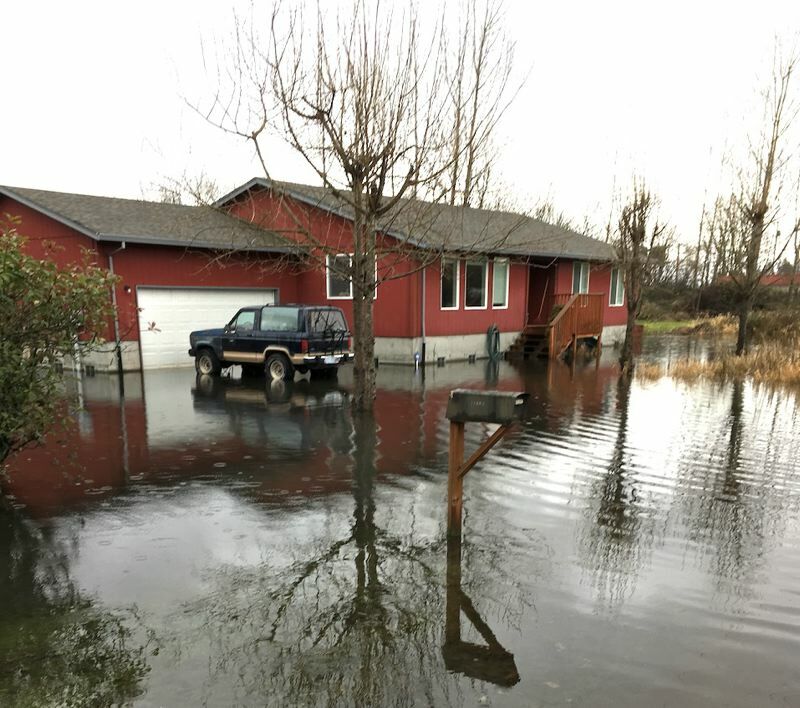 The Scappoose Bay Watershed Council said the site was a defacto wetland dating back to the 1930s, but noted the flooding was due to malfunctioning drainage devices and became detrimental to the area. "The original cross culvert that acted as an overflow became plugged, then 'lost,' and the area flooded," Pat Welle, coordinator with the SBWC, stated via email. "The County is maintaining the wetland at a reduced level to protect both the property and the road. 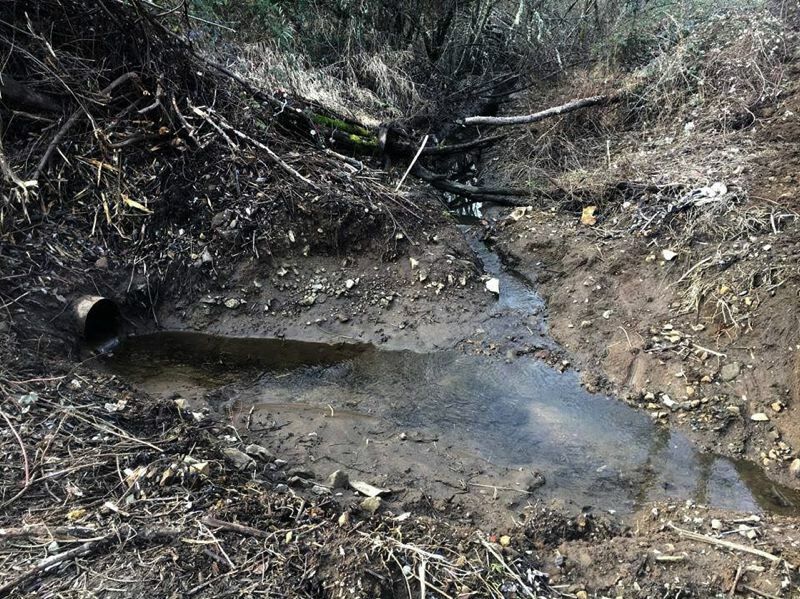 They will also be adding a catch basin to prevent silt from the wetland from entering South Scappoose Creek, which is also beneficial to that stream."